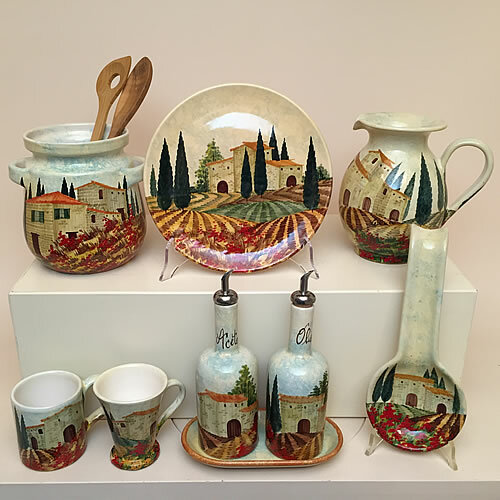 A large choice of table tops in ceramic, stone and terracotta made by our artists with beautifully hand-painted designs to decorate your home or garden. 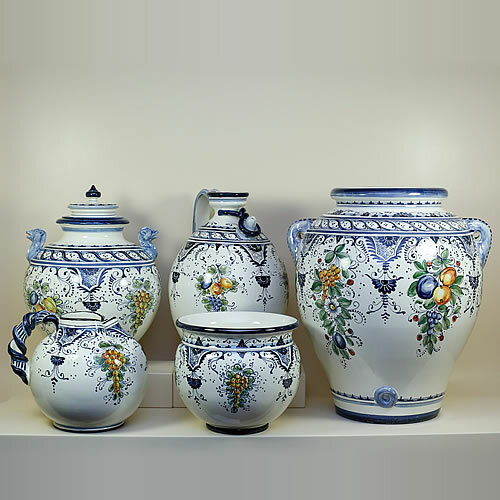 We are at your disposal to accomplish and fulfil every specific request. 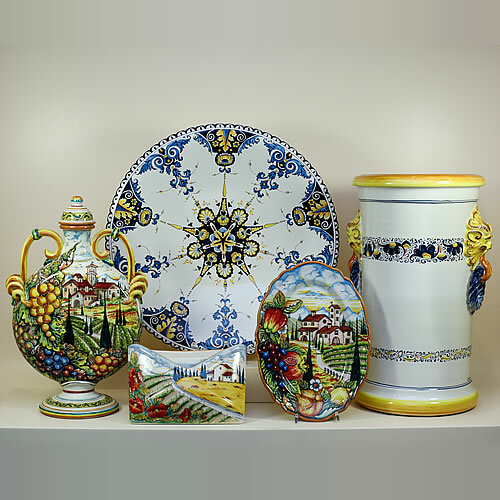 Our ornamental ceramics are unique pieces, individually hand-made and hand-painted by the best ceramic artists. 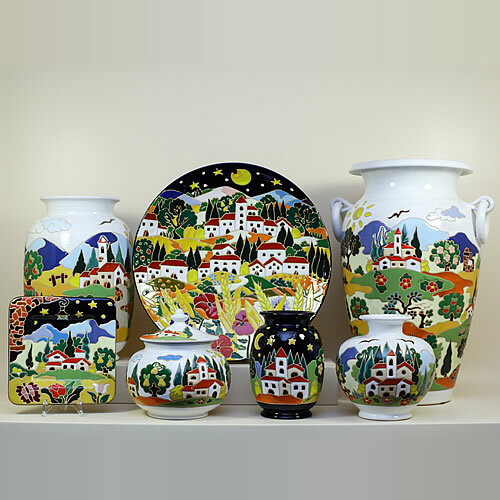 Tuscan culture, tradition and landscape can be found in each design or peculiar shape. 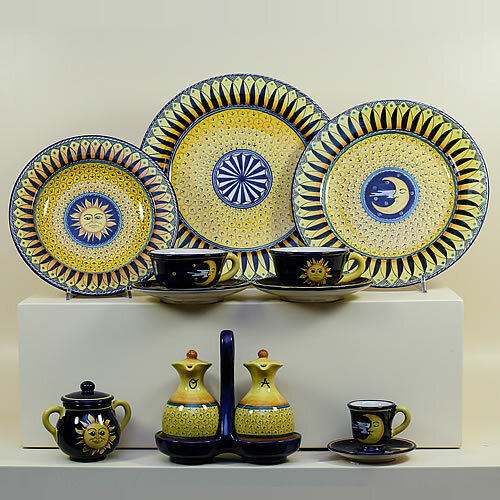 For special occasions or everyday, set your table with the most colourful, elegant, modern dinnerware. 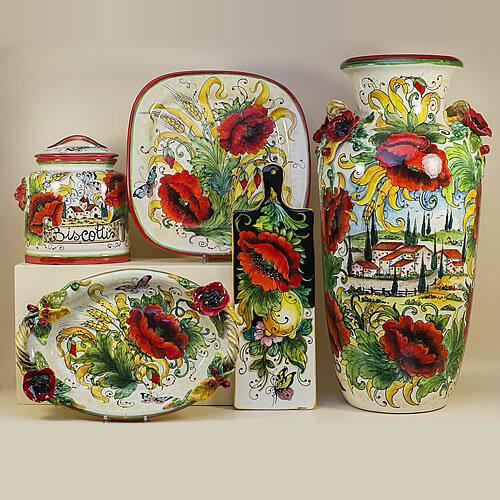 The designs combine the warm, traditional Tuscan country colours with the latest modern style. 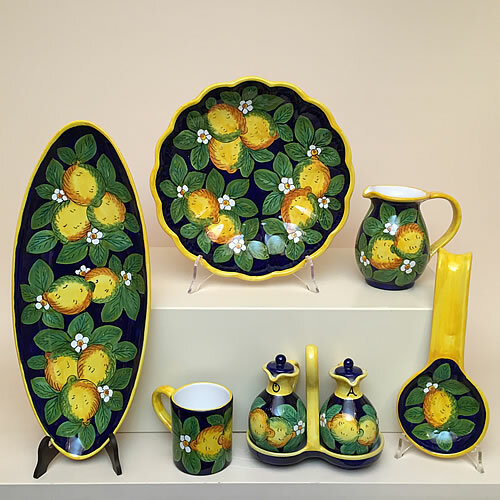 Each piece is individually hand-made and hand-painted by our artists. 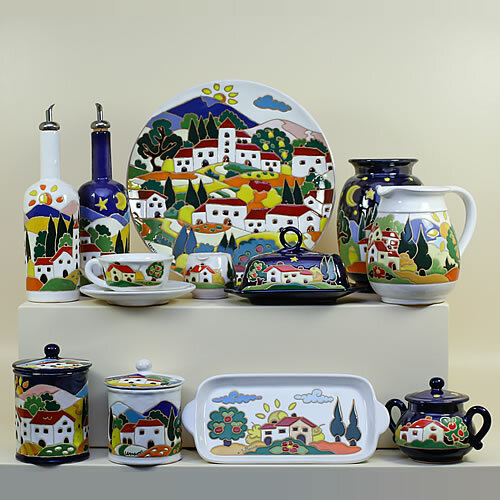 Innovative design, functionality and beauty made in Pottery & Volcanic Stone. 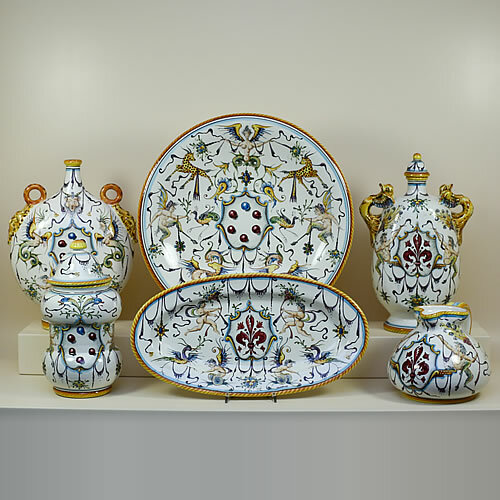 Great ideas for those who are furnishing their own home but also for interior designers and architect looking for new high-end suppliers to give their project a touch of Made in Italy. 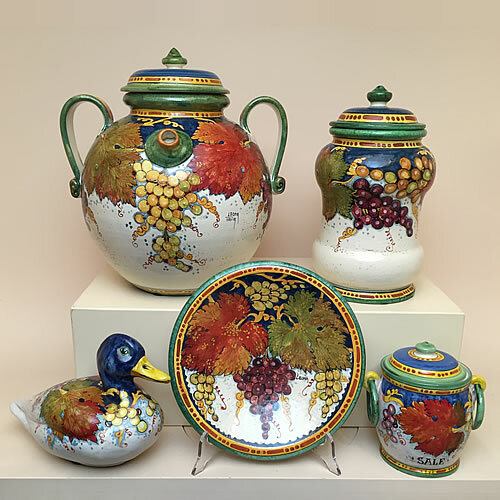 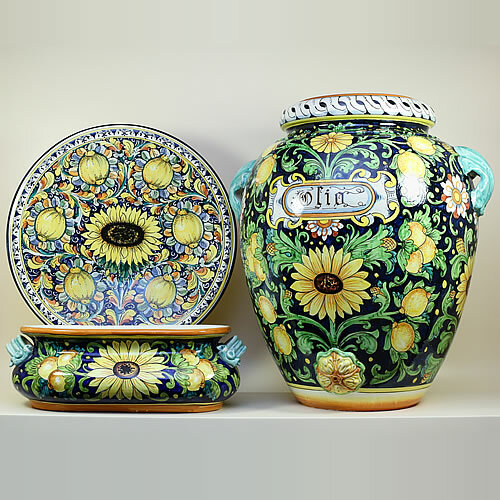 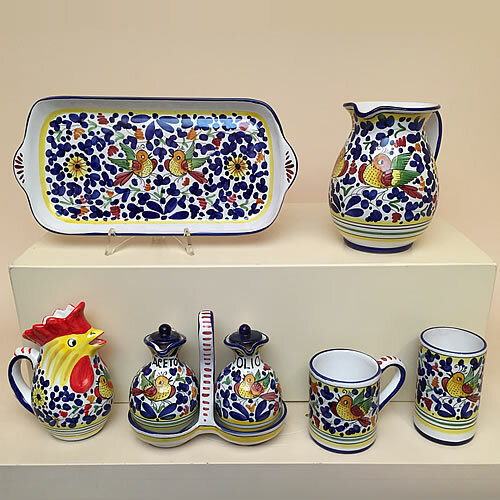 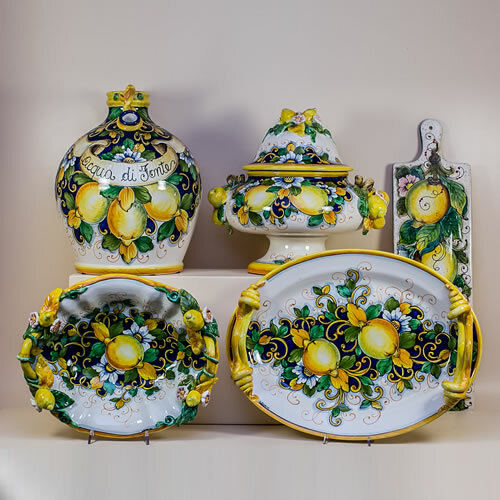 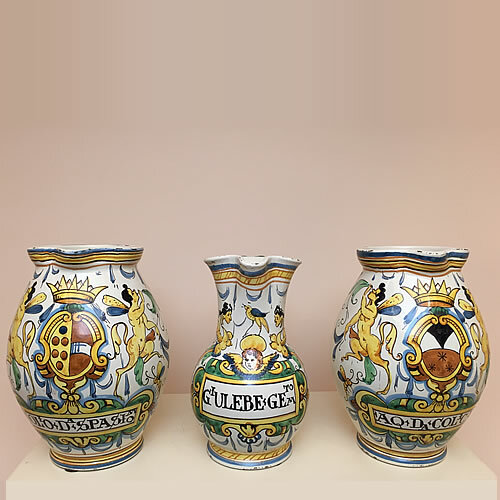 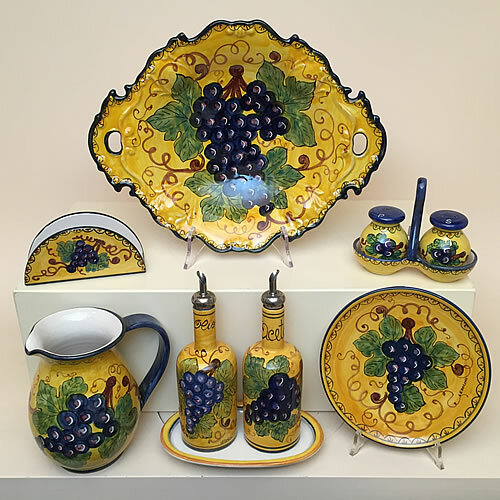 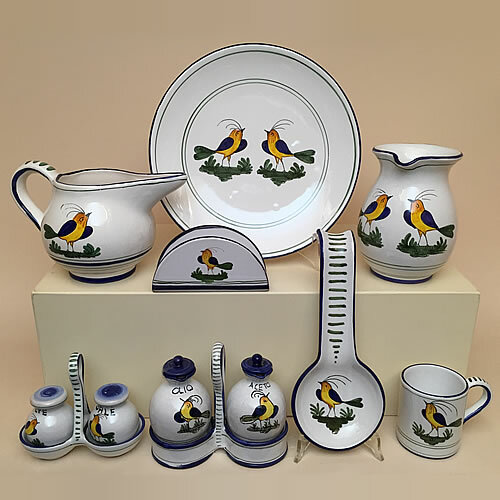 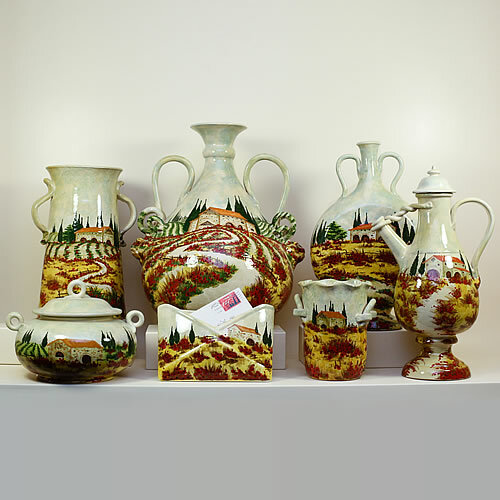 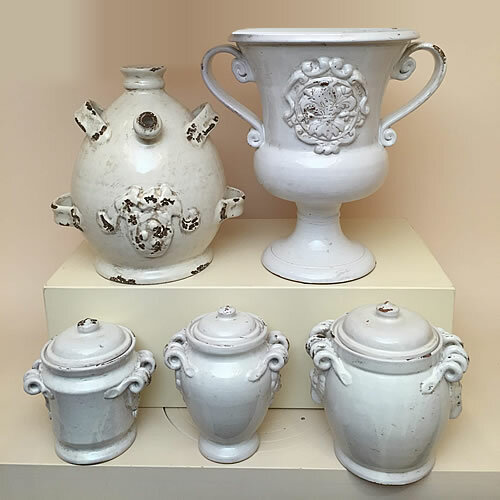 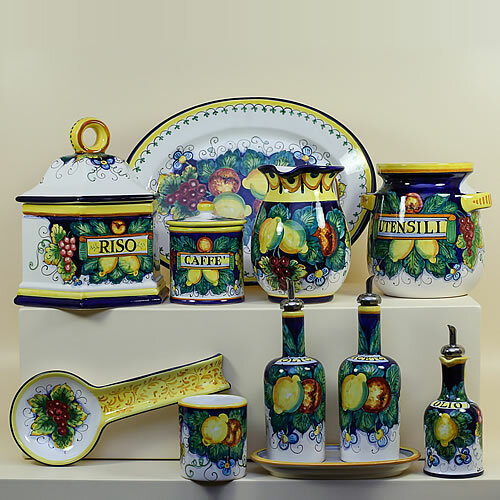 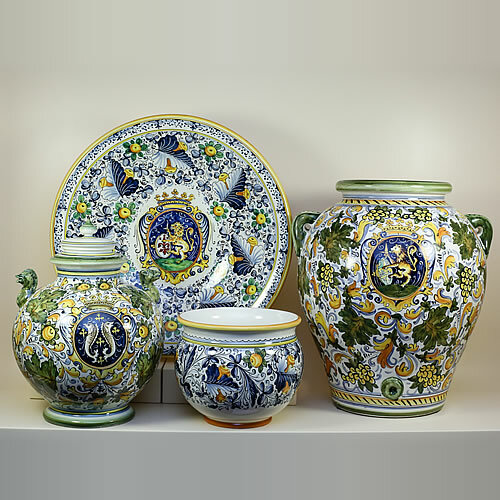 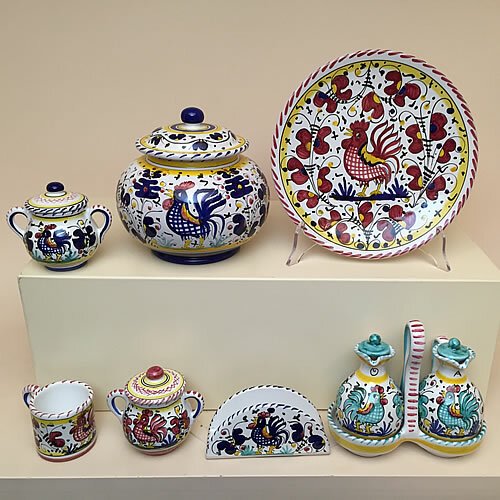 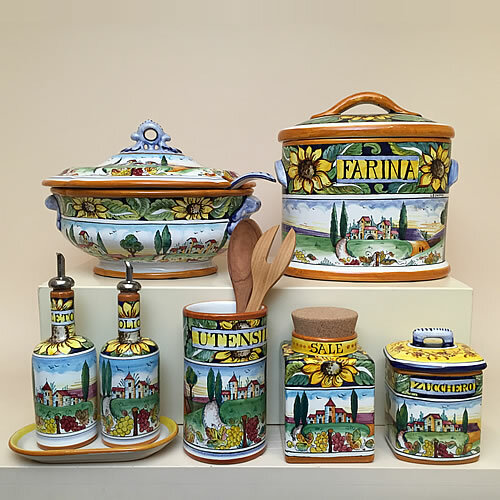 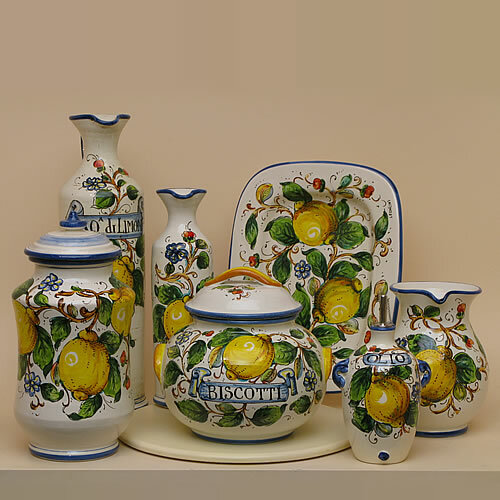 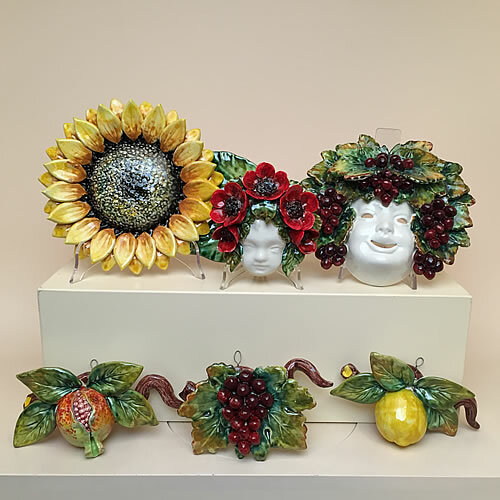 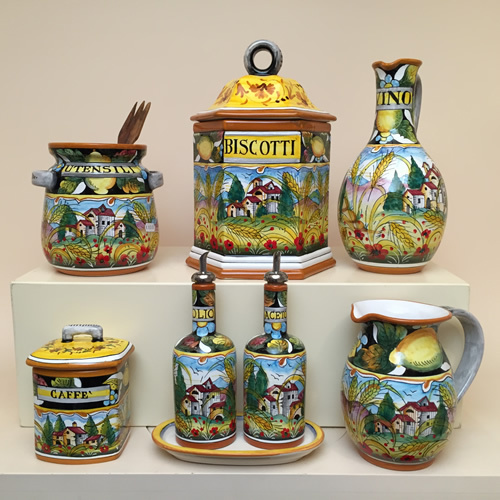 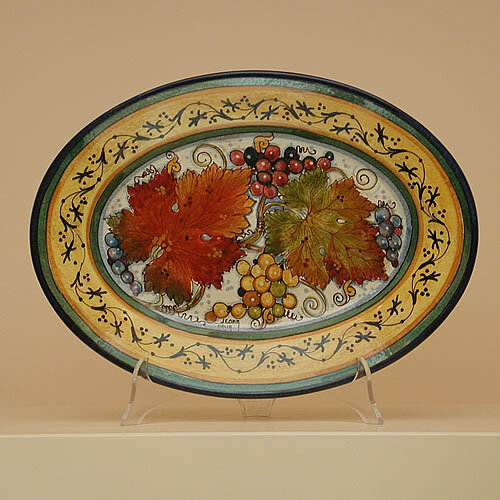 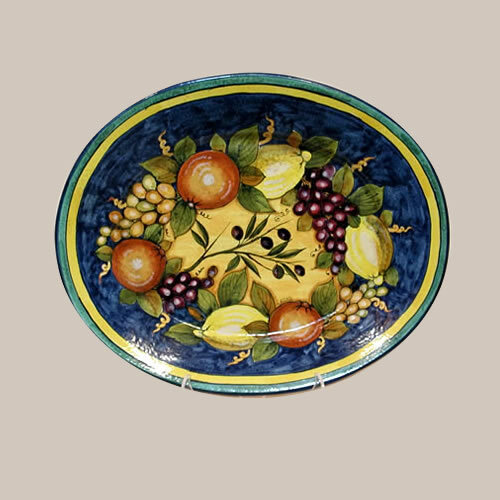 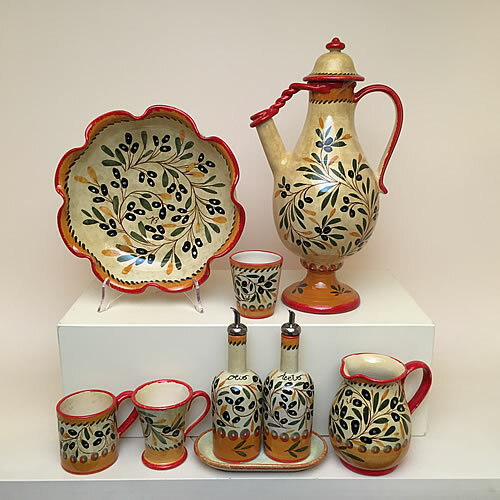 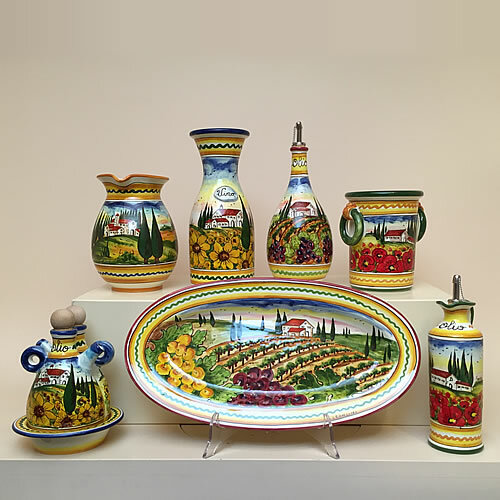 To revive the splendor of the old Italian villas and to furnish your house with masterpieces of a unique artistic value, please, visit our website where you can buy these beautiful ceramics, each one hand-made and hand-painted by our artists in Tuscany. 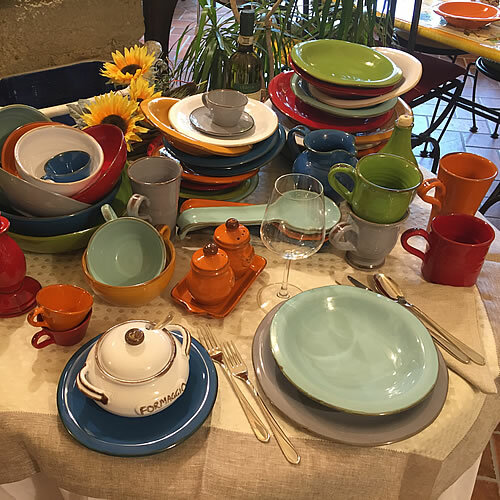 A bright, colourful and modern dinnerware to set up your table?? 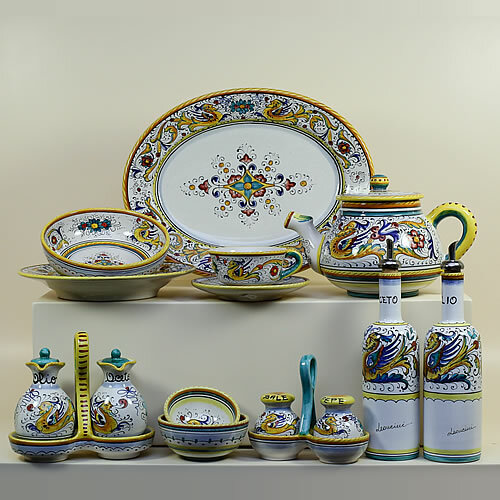 It is now possible with our solid colour Tuscan ceramic sets! 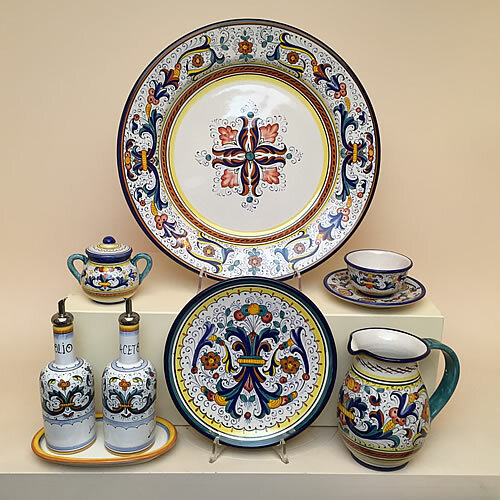 You can choose if buying all the pieces in one colour or creating a mix among the eight colours which are now for sale on our website.